Hello everyone, today we’re taking a look at two things. Firstly, the best affordable watch brands for men: looking for the best watch for men on a budget can sometimes be difficult. Hopefully, by taking a look at some of the top watch brands, you can find the best watch for you much easier. Secondly, we’ll be reviewing 3 of the most popular affordable watches for men. In our opinion, the top watch brands should offer good quality watches at an affordable price. The best watch brands should be within everyone’s budgets so you’ll notice none of the watches today will be wildly expensive. With that in mind, you’ll see a selection of good watches from a selection of nice watch brands further below. For the purpose of this watch list, we’ve purposefully excluded luxury watch brands such as Omega and Rolex as we wanted to focus on affordable watch brands. With that in mind, enjoy The Watch Blog’s top 10 watch brands for men 2016. Casio is a major player when it comes to affordable watches. The legendary Japanese electronics company is loved worldwide for its selection of reliable watches with innovative design. With massive successes with box analogue wristwatches and digital timepieces Casio has become one of the most popular affordable watch companies worldwide. Casio has something for everyone when it comes to nice watches. For those who are more active or keen sportspeople, you should consider their G-Shock watches. The Casio G-Shock watches are extremely durable with their hard wearing design, they are also great timekeepers. For those seeking something a bit more flashy or a watch that is simply more feature rich you should check out Casio’s Edifice collection. Being one of the biggest suppliers of watches worldwide is no easy feat to accomplish. Some of the most popular watches right now are the retro style Casio watches, and they’re incredibly cheap too. Casio also got involved with solar watches, their take on this is Tough Solar. This technology uses the power of light to fuel the watch, meaning you never have to change a battery. Other popular functions spotted on Casio watches include atomic timekeeping, countdown timers, alarms, high-quality luminous dials, and mud and water resistance. Some features are only included with Casio premium pieces. Some of my favourite collections from Casio include: Casio G-Shock, Casio Edifice, and Casio Wave Ceptor. Best 10 Retro Style Classic Casio Watches Under £20 For Men. Timex are another watch brand known for producing high-quality wristwatches for the whole family, they have watches for children learning how to tell the time, to adults who are after something more sophisticated looking for a formal occasion. With a large selection of both digital and analogue timepieces, there should be something for everyone. Timex was founded back in 1854, originally they were named the Waterbury Clock Company and since then have grown to become one of the largest wristwatch manufacturers worldwide. Some of their most notable collections include the Expedition, Intelligent Quartz, and the Ironman. There’s something for everyone with Timex, their watches cover a large price range. With different watch styles available such as easy to read, every day, high-quality sporting watches, and of course formal occasion watches. With a range of colours from bright white to deep green, there is something for everyone, be it serious or more playful. Citizen is another Japanese watch manufacturer that’s one of the biggest suppliers of watches in the world. Citizen is also one of the most popular affordable watch brands worldwide. They were voted ‘Watch Brand of the year’ four years in a row, now that’s pretty impressive. With their watch ranges featuring durability, reliability and their exclusive technology, it’s easy to see why. The majority of Citizen’s watches now feature their Eco-Drive technology. This is some impressive technology that harnesses the power of light, be it natural or artificial. You’ll never need to change the battery so this, in turn, saves you money in the future. Many of Citizen’s watches have impressive complex timekeeping options and features. Their selection of atomic timekeeping watches look very impressive and I highly recommend checking them out. Notable collections by Citizen include: Citizen Eco-Drive, The Signature Collection, and Drive From Citizen. Bulova was founded back in 1875 by Joseph Bulova, these days they’re actually owned by Citizen since they were purchased at the end of 2007. This makes them one of the longest-established watch brands worldwide. Bulova was also one of our top 10 affordable Swiss watch brands, another post well worth checking out. The Bulova brand is recognised worldwide and known for using only the best high-quality materials. They have collections available for all price ranges are happen to be one of my favourite most recommend watch brands. In my opinion, they are on of the top affordable watch brands for men. If you love elegant yet masculine watches it’s well worth checking out some of their popular collections. Notable collections by Bulova include: Accutron, Marina Star, Precisionist, and UHF. My personal favourites would be the Bulova Precisionist collection, it’s their higher end selection of watches but they are so worth it. Check out my Bulova Precisionist 96B175 review. The Seiko company was actually founded back in 1881 by Kintarō Hattori who opened a watch and jewellery shop in Tokyo, Japan. However, it wasn’t until 1924 that the first watches appeared under the Seiko brand. Then in 1969 they went on to introduce the Astron which was the world’s first production quartz watch. When the Astron was introduced it cost roughly the same as a medium sized car. Later on, in the 1980s they created the first Kinetic watch which has been a fan favourite every since. After years of name changes and business restructurings, Seiko is now a holding company named Seiko Holdings Corporation. Seiko is well known for their precision watch engineering, the Seiko SKX007 is still a massive favourite among watch collectors. They were a leader in technology development with a string of firsts, these include, production quartz watch, quartz chronograph, and kinetic watch. Seiko’s brilliant timekeeping accuracy had led to them being picked as official timekeepers for a variety of professional sporting events. If you’re after an excellent watch that’s extremely reliable it would be well worth considering a Seiko timepiece. They’re a very reliable men’s watch brand. Notable collections by Seiko include: Seiko 5 series, Elite, Kinetic, and Solar. Victorinox has been making great Swiss watches since 1989. Every watch is carefully built and designed for a balance between timeless elegance and performance. It’s great to know that every Victorinox watch is required to pass over 100 quality control tests before it reaches your wrist. Victorinox are also in my top 10 Swiss watch brands list, and they offer exceptional value for money in my opinion. 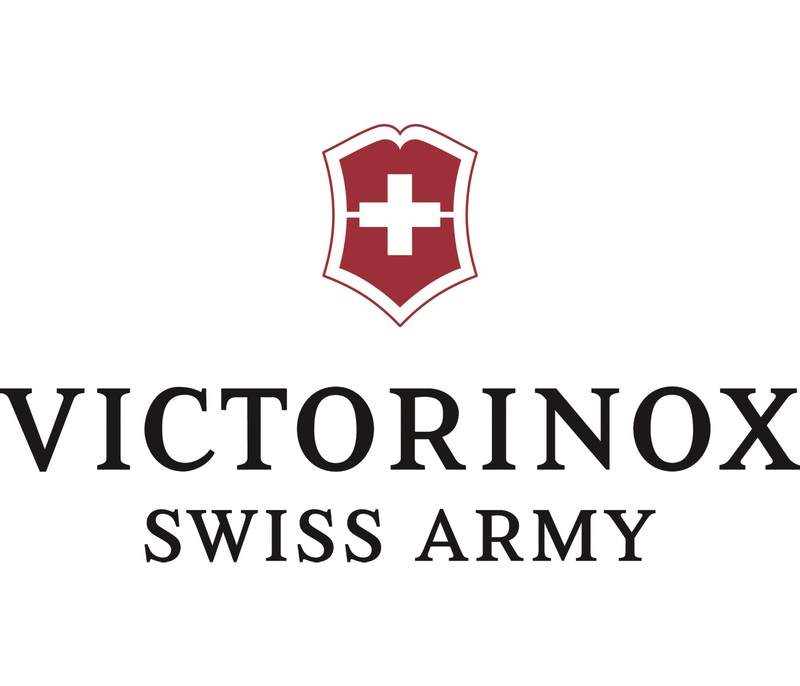 All of Victorinox’s Swiss Army watches are manufactured in Switzerland and use only the best high-quality materials. So if you love very stylish looking Swiss watches that won’t hurt your bank account, they are well worth checking out. Notable collections by Victorinox include: INOX, Maverick, and Professional. When you think of watch brands Armani may not instantly come to your mind. However, they actually produce a huge amount of extremely stylish watches under their two sub brands Emporio Armani and Armani Exchange. With a fantastic blend of traditional watch design and designer style, they’ve come up with a huge range of really nice looking affordable watches. The Armani brand is world renowned and known for producing high-quality products, their watches ooze class and are perfect for people looking for that designer day to day watch without blowing their budget. Notable collections by Armani include: Emporio Armani and Armani Exchange. Founded back in 1984 Fossil are known for creating classic American vintage inspired wear. Their selection of Fossil watches are designed to stand out as a statement piece. With Fossils collection of watches, Swiss craftsmanship is expertly blended with contemporary design and functionality. Fossil is another brand that really pushes the boundary in terms of styles and materials used. Anything from deconstructed leathers to multi-faceted dials, minimalist to stand out, you’ll find something for everyone within their collections. Fossil also make watches for many other well-known brands, Armani, Diesel, Adidas and Marc Jacobs are all known to have had their watches created by Fossil in the past. Fossil easily deserves to be one of our top affordable watch brands. I really love the Rotary brand, their selection of watches are truly stunning, some of my favourites are their selection of skeletonized dials that you’ll spot in one of the articles suggested below. Established back in 1895 in Switzerland, Rotary have been creating high-quality, reliable, affordable wrist wear for many years. They’re even the office watch supplied to the British Army since 1940. These days Rotary is a well-known household name in the UK due to their classically designed beautiful timepieces and affordable pricing. With timepieces available for those who prefer modern watches or those who like sporty watches more, there is something for everyone. I for one really like their mechanical watches as I mentioned earlier. If you’re after something practical that’s well built from a well-recognised brand, you should consider Rotary. Recognised internationally Hugo Boss are one of the biggest designer brands in the world. The Hugo Boss brand prides itself in its ability to create modern, elegant looking products and that’s exactly what they’ve achieved in with their watch collections. Their chronograph watches are honestly stunning and some of the most bought watches for those seeking a designer timepiece. If you’re after a watch that looks very stylish from an instantly recognised brand then Hugo Boss are definitely some of the top rated men’s watches to consider. They offer a wide selection of cool watches built with a very high-end finish, without breaking the bank. 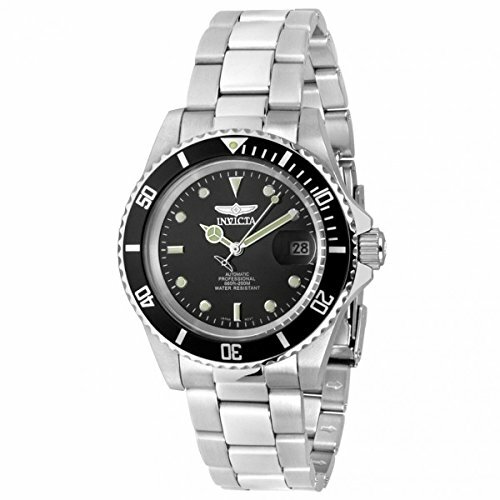 With watches available in a wide range of prices ranges there is normally something on offer to everyone. Hopefully, you enjoyed taking a read through some of our most recommended watch brands for men. Between them, they offer some of the best inexpensive watches available for men. With that being said we’re now going to feature 7 of the best affordable watches for men and feature a summary review for each watch. Rating 9/10, an excellent all rounder that’s part of Seiko’s well respected Seiko 5 series. 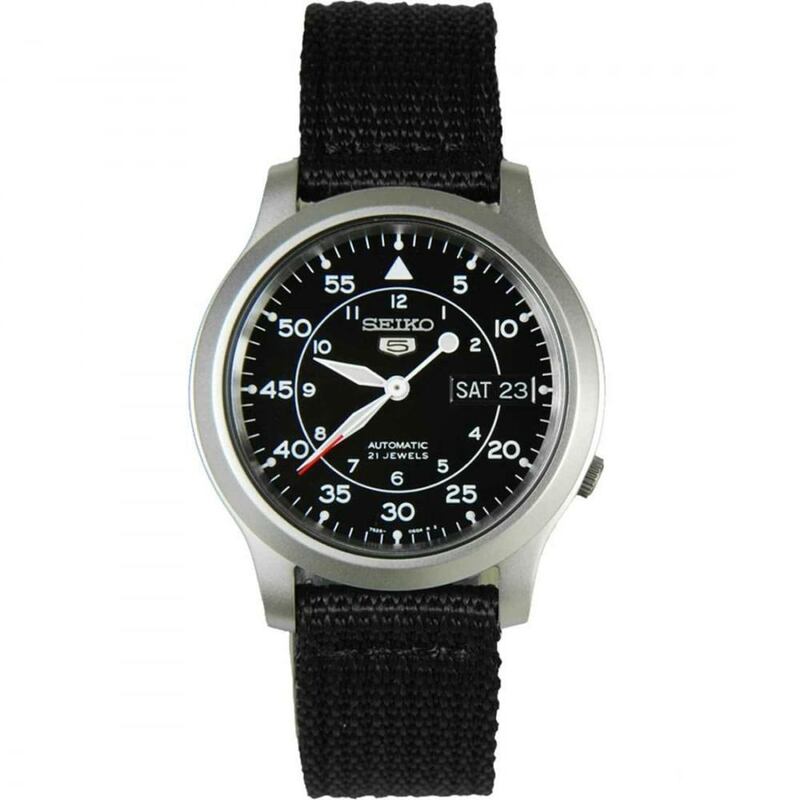 The Seiko SNK809 is part of Seiko’s ‘Seiko 5’ range of watches. The Seiko 5 watches offer great value for money in terms of quality and materials. It has a fairly basic look to it, however, that makes it greats for those people who are after something a little more understated. As far as automatic watches go I would honestly say this timepiece is well worth considering. I’ve done quite a few automatic watches reviews in my time and this is actually one of my favourite watches. It’s possibly not so well suited for people who like larger watches, the Seiko SNK809 has a casing diameter of 36mm which whilst ideal for people with skinnier wrists, may not look so great on people with larger wrists. The window lens itself is made of mineral glass, this type of glass is specially hardened to offer a fairly good level of resistance from scratching. For the money you’d be paying for the watch I’d say this is fair value. The automatic movement used is a 21 jewel Seiko 7S26. Automatic movements are rarely as accurate as a quartz, they look nicer and the craftsmanship is always impressive but you can expect a deviation of between 20/40 seconds a day plus or minus. The date display that’s featured on the watch blends in really nicely with the whole dial design in my opinion. I also like the size of it, it’s great to have a day and date display that doesn’t overshadow the rest of the dial. While fabric straps aren’t really my cup of tea, the SNK809 has proved very popular for those seeking a fabric strap style watch. I can see the appeal of the extra comfort etc, I’m just not overly fond of the look of them myself. Overall the Seiko SNK809 is a very nice, very affordable well-built watch, I can see why it’s been so popular among Seiko 5 fans. 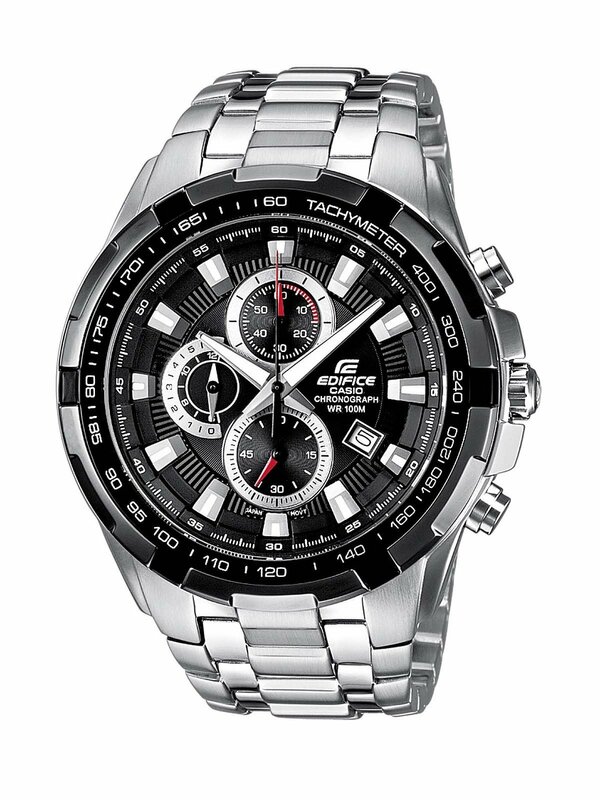 Rating 8.5/10, part of Casio’s popular Edifice collection. If you’ve already checked out my Top 5 Casio Edifice Watches For Men article then you may have already spotted this impressive chronograph watch by Casio. While I do recommend checking out the whole Edifice series of watches, this is one of my favourites due to its low price and high-quality finish. The watch has a fairly larger design to it with a casing diameter of 48.5mm, that’s a bit larger than the standard 42mm you see around today. It’s fair to say the bigger watches are very on trend at the moment and I can’t see that changing anytime soon either. While it has a large diameter it avoids feeling overly chunky which I know some people like to avoid. The Casio EF-539D-1AVEF has a neo-illuminator display that emits UV light, this makes the watch very easy to read in dim lit conditions. Overall I like the whole design of the display, I’m quite fond of small splashes of colour so using the red detailing on a couple of the hands was a nice touch in my opinion. The window lens of the Casio EF-539D-1AVEF is made of mineral glass, again as I mentioned earlier this is exactly what I’d expect to see in a watch in this price range. 8.8/10, automatic movement with 200m water resistance. Invicta makes some really great watches, the Invicta 8926 is one of their best sellers though. It’s easy to see why it’s been such a success, a high-quality build mixed with great materials and a brilliant price will always appeal to watch buyers. The Invicta 8926 has a dial with a few interesting features. The date display has a magnifier above it making it appear larger on the dial, without taking up the extra space. They’ve also used some good quality lume to make the watch easier to read at night, this is always a useful feature. The watch also features a very good level of water resistance with a 200m water resistance rating, also known as 20 bar. 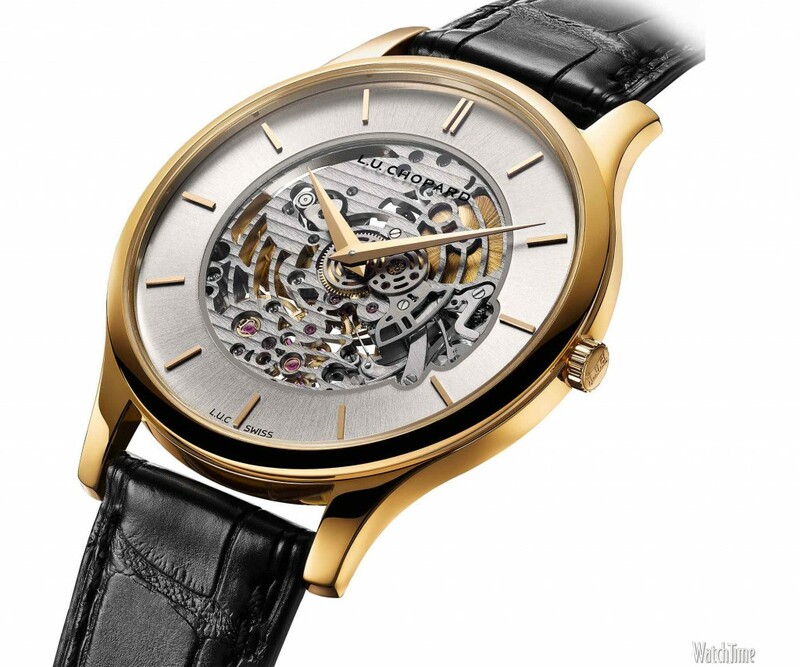 It features an automatic movement that can be viewed via its rear exposed case back. This is a feature I love with automatic watches if you’re going to feature a nice watch movement, make it visible. You can read my full Invicta 8926 review here. It’s safe to say many people are often wondering where is the best place to buy watches online. In my opinion, the best websites to buy watches from should offer great prices, safe trading, good customer service, and authentic watches. With that in mind, I like to stick to recommending places I personally have used to buy my own watches from, that way I have an idea of the service. Amazon is one of the most instantly recognisable worldwide marketplaces online. I often find them to be one of the cheapest around when comparing with other online sellers. A great benefit of Amazon is that you are able to quickly read through other customer’s reviews of a watch and see if it is still the right choice for you. Amazon also offers fantastic customer service and buyer protection. Also, Amazon prime customers can often get the watch they are after delivered within a day for no extra cost, pretty hand right. Check out Amazon’s available watches. Established back in 1991 on the high street, Watch Shop has now grown to be one of the leading retailers of branded designer watches in the UK. You may have seen their national TV ads as well, often around Christmas. They hold a huge amount of watches in stock at any time, often over 100,000 watches are held in their high capacity warehouse. WatchShop offers great customer service and have a team at ready for you to call should you need any assistance. Another great feature that some people often overlook is that WatchShop will happily resize your watch strap for you at no extra cost. Check out Watch Shop available watches. Established in 2005 The Watch Hut is another one of the UK’s larger online watch retailers. They also offer help over the phone which is something you just can’t get when buying from Amazon. I’ve noticed over time that Watch Shop and The Watch Hut often price match each other, so if one hasn’t got the watch for you in stock just quickly check the other site and it is often the same price. Check out The Watch Shop available watches. I know some people like to buy second-hand watches and I obviously don’t see any issue with that, when it comes to buying second hand watches on eBay I would always be careful. As with anything, do your due diligence and check the seller’s feedback. Thanks for taking the time to read through this rather large post. Hopefully, you’ve learned a thing or two about the top watch brands for men and can spot some good watches in the future. I love being able to recommend affordable watches to people and it’s really rewarding when you see people taking your advice and picking the right watch for themselves. These were our top 10 watch brands, I hope you enjoyed the article. Now if you really want an overflow of stunning watches to check out I’d suggest reading my top 100 watches under £500 for men. Was there a quality watch brand you think I missed? As always let me know what you thought in the comments section below.